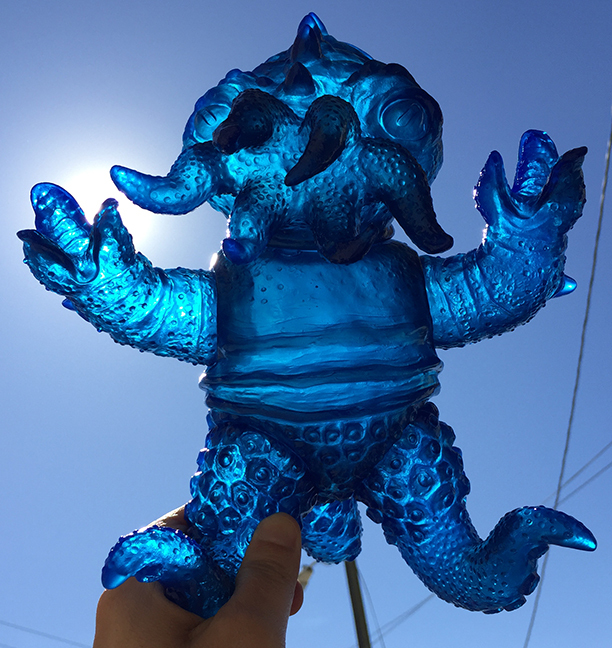 Kaiju TriPus, unpainted, medium clear blue sofubi ! 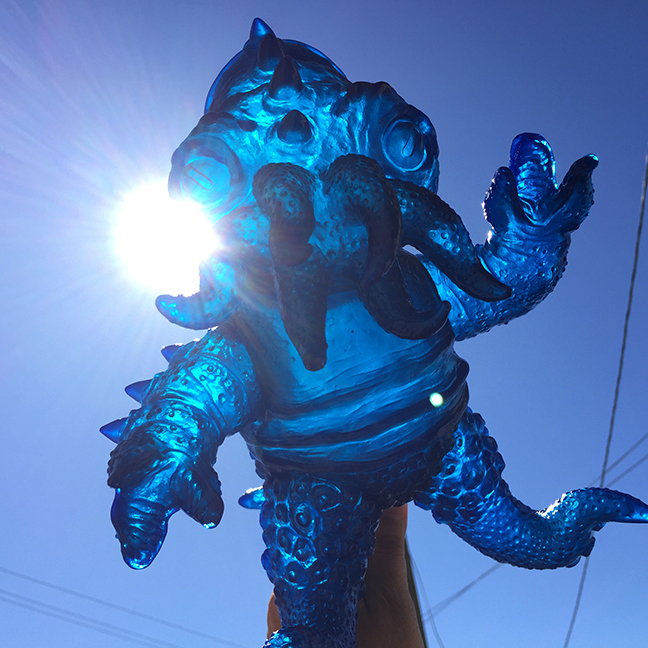 This newest version was sculpted by Pico Pico and fully cast in Japan ! Tirpus weighs nearly 2 pounds (!) and his dimensions are 10.5 inches tall x 10 inches wide by 10 inches deep !! You can also pose the head several ways ! Comes bagged with header card. 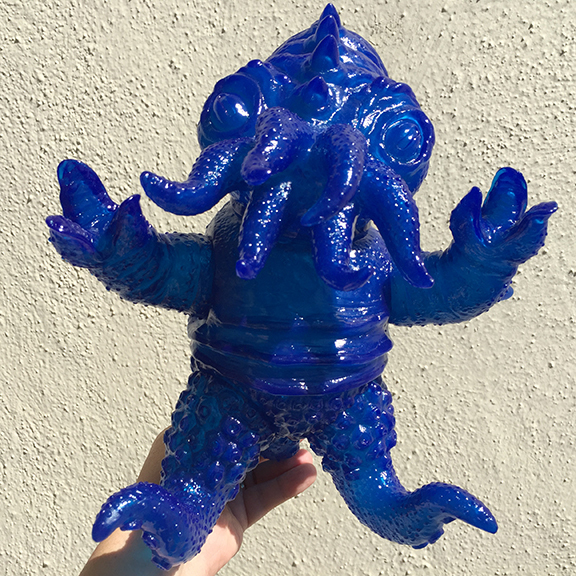 Clear soft vinyl base ! Limited quantities available ! International Shipping : Must be shipped in a BOX, no envelope options please.